Former Dean of Education and Continuing Education at the University of Leicester, joined Homerton College in 1999 and subsequently the Faculty of Education in 2001 as Associate Director of Research. Professor Galton has conducted large and small scale research studies, mostly in UK primary and lower secondary schools. One aspect of these studies is the careful documentation of classroom practice and the way it changes over time. He is best known for a series of classroom studies (Observational and Classroom Learning Evaluation (ORACLE) began in the mid 1970s and continuing with a replication study two decades later. In the 1980s he was consultant for the Council of Europe on the Innovation in Primary Schools Project. During the last two decades he has undertaken a number of evaluation studies for the then Teacher Training Agency (TTA) now TDA on links between research and classroom practice; for the UK Department of Education on transfer and on the relationship between grouping, group work and personalised learning; and for the National Union of Teachers (NUT) on teachers' workloads and the effects of inclusion policies. Between 2002 and 2006 he co-directed a £1 million study on Grouping and Group work for The Teaching and Learning Research Programme (TLRP) and has recently completed a study of the pedagogy of resident artists in schools for Creative Partnerships and the Arts Council of Great Britain. He is now carrying out a review for the Nuffield Foundation on the effects of transfer and transition from primary school on pupils' wellbeing. Professor Galton has considerable experience of Hong Kong schools. He was an 'Onlow Fellow' at the University of Hong Kong in 1992 and visiting professor at HKIEd from 1998-2002. He has been a consultant for the Hong Kong Department of Education (formerly EMB), first for the Curriculum Development Institute (2000-2004) and now for the Research and Assessment Department in a study of the effects of reducing class size in primary schools (2004-2008). 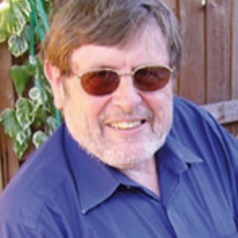 He was consultant to the Council of Europe (1982-87), National Curriculum Council (1989 and the National Council for Educational Technology (NCET) (1995-98). He is currently collaborating in the Faculty's Centre for Commonwealth Education on pedagogical initiatives in South Africa and Malaysia.